Description 8"Crystal Plate on a separate stand. A two piece item which comes in a blue velvet lined box. 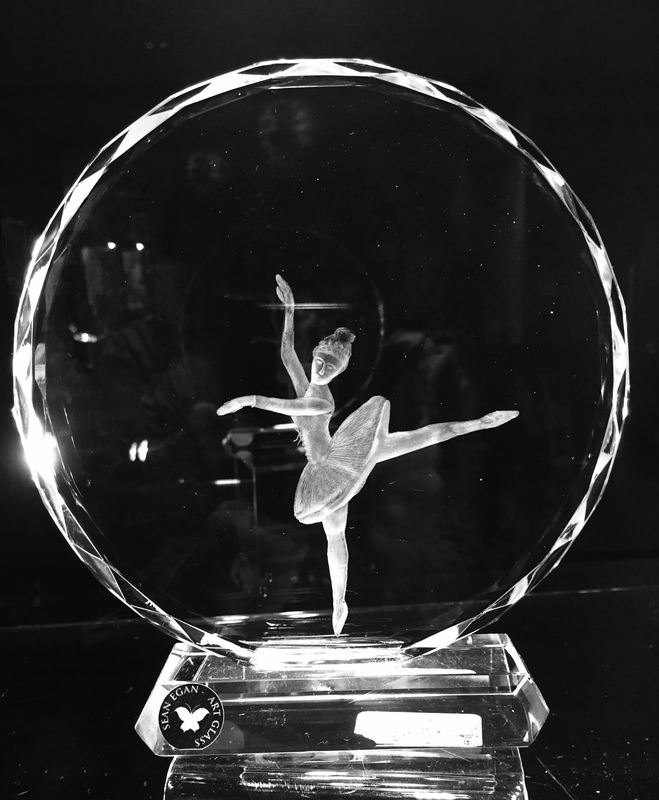 Engraved with an elegant ballerina.